Have you gone mushroom picking yet? I haven’t, but I did pick up some local white mushrooms at the grocery store a couple of days ago. 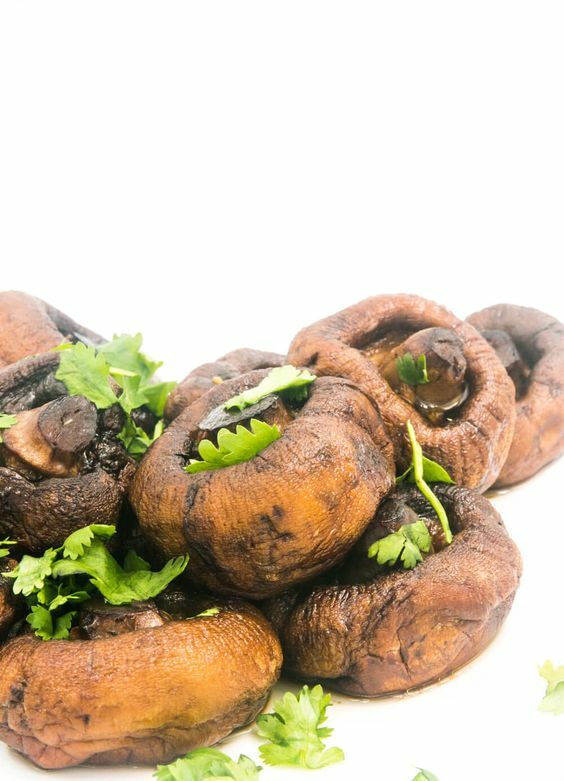 Loved the idea of roasting the mushrooms instead of stir-frying as I would usually. One significant part about roasting is that you don’t have to stand and stir the whole time. Also, the buttery juice that comes out while roasting mushrooms are wow! At first, you won't see the liquid and might think it all evaporated, but wait for it. These are great as a side dish, or as a main dish over mashed potatoes, rice, polenta, mashed cauliflower are a few options. When you take out the pan you will see juices on the mushrooms and in your pan, it’s delicious. Make sure not to forget to drizzle over the mushrooms when you serve. In this recipe I use ghee, but you are more than welcome to use butter. Ghee is clarified butter that separates milk from fatBecause g this butter substitute is lactose-free, making it better than butter if you are sensitivities to dairy products. Combine butter, olive oil, garlic, and salt together. Toss mushrooms in butter mix. Lay out mushrooms cap side down in an oven dish. Roast for 25-30 minutes, mushrooms should be tender and have some juice on them and plenty in the dish. Drizzle with all the juice from pan and sprinkle with fresh chopped parsley when serving.